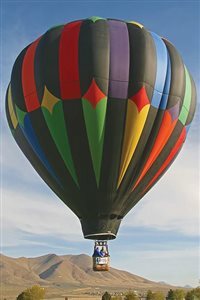 The seventh annual Winnemucca Balloon Festival promises to let your dreams take flight. All of the festival will take place at the Winnemucca Sports Complex, located on Fountain Way and Barter Way, behind Burger King and Les Schwab Tires. The James Hunter Six is a Wales-based sextet (two saxophones, drums, double bass, keyboards, guitar and vocals) who perform modern versions of classic ‘50s and ‘60s rhythm and blues. The Western Folklife Center is known for bringing interesting artists to Elko for performances and workshops throughout the year. On stage Saturday, March 24 is Grammy award-winning singer/songwriter Rick Nestler and Donna “The Banjolele Lady” Nestler for a great evening of fun: expect some folk, western swing, songs of the silver screen cowboys, and more! Concert begins at 7 p.m. The EL Wiegand Gallery at the Oats Park Art Center hosts a group exhibit of northern Nevada and regional mixed-media artists. “Beverly and Her Stuff” is on display until July 14. From fabric to paint, found objects, assemblage and elevated antiques, there’s a bit of everything in this exhibit, all focused on a truly fashionable display.